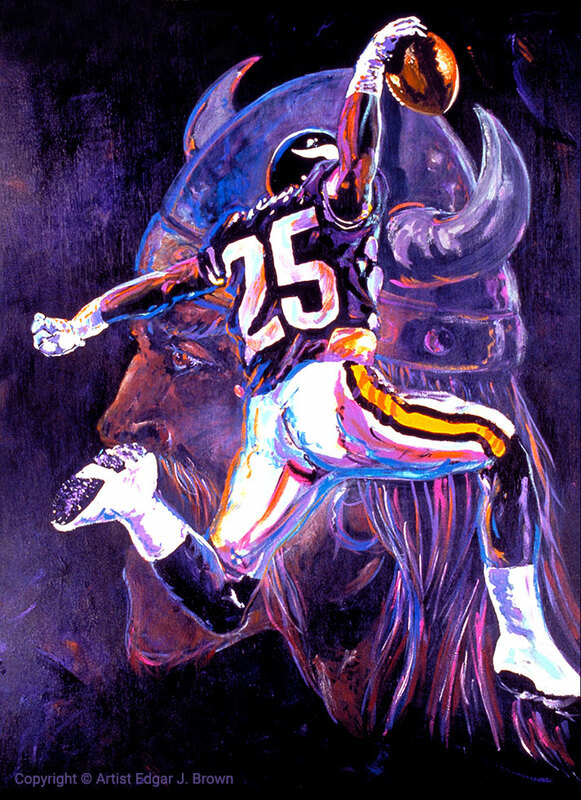 The Viking Spirit is NFL art that was created by sports artist Edgar J. Brown and inspired by the AFC’s Minnesota Vikings. 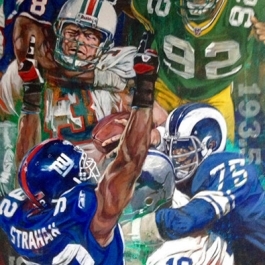 The warrior in the background exemplifies the rich history of this NFL team that was the 14th team to join the National Football League. 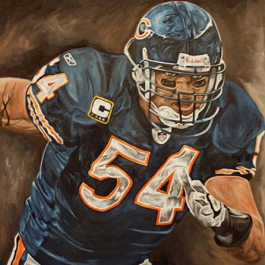 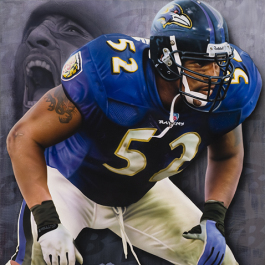 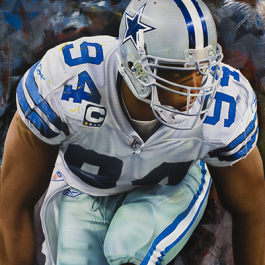 It is a classic NFL painting and a great addition to any man cave or sports art collector’s favorite piece of NFL memorabilia.